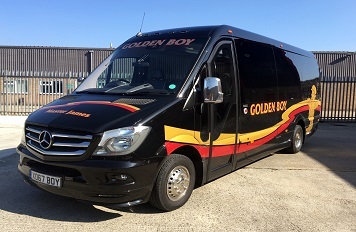 Golden Boy Coaches has been providing minibus hire for over forty years now. Our location means we can easily supply minibus hire Hoddesdon, minibus hire Herts and minibus hire London. out you can be sure that Golden Boy has the vehicle to suit your needs.